A label deactivator is a necessary component of any security solution requiring consumable labels. AMERSEC® off ers multiple deactivation solutions to meet the needs of a wide range of retailers, including the possibility of scanner or self-operated POS integration. The RF (Radio-Frequency) STANDARD deactivator is a full-featured device and includes audible and visual deactivation indications as well as a large deactivation zone with high-speed throughput. It is a smart device that can provide a full overview of deactivation activities, and is StoreMonitor compatible for fast remote maintenance and setup. The RF MINI deactivator is a cost-eff ective solution that features the same large deactivation zone and high-speed throughput as the standard version, but without audible or visual indication or online connection. 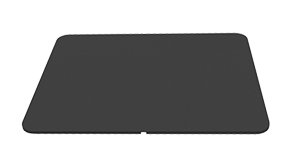 Standard black plastic pad for desk-top mounting. 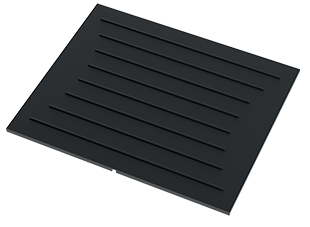 Desktop black rubber pad which is designed for food stores and meets Food Contact Materials (FCM) standards. 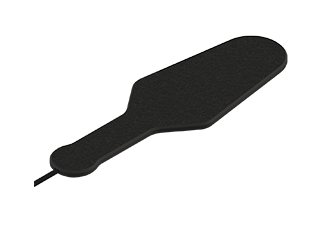 Handheld pad for a more mobile deactivation solution. Ideal for bulky items or deactivation of labels placed inside packaging.